Work with a group of young and energetic engineers is fun. We work hard but we play hard too. We turn idea into real product, we turn dream into real thing. We practice open minded design and development approach, we learn from each other with the objective make thing better. If you like to skip from politic environment, here the home for you. If you are knowledge hunger, please join us, you will never feel hungry. - Make reccomendations to modify or replace equipment as necessary to support new products, demand or improve productivity. - Design, plan, coordinate, and implement factory automation in manufacturing processes. - Construct equipment and devices with automatic equipment aimed at feeding, processing, transferring, adjusting, measuring and testing; taking into account corporate standard components and processes. - Coordinate cross-functional teams to drive business and organizational results. - A broad electrical and mechanical background, including hands-on experience with PLC's, HMI's, robots, vision systems and associated programming software is desired. - Working knowledge of manufacturing methods, tooling, fixturing and materials. - Advanced skill with all MS Office products and the willingness to learn company specific software. - To assist Project Manager / Assistant Project Manager / Senior Project Engineer in coordinating the activities of the project to ensure schedule, document control and quality standards are met. - Have a good understanding of manufacturing processes-sales process, project process, fabrication process, purchasing process, shipment process etc. - Collect requirement from user. - Develop software in Labview/Windows environment according to the user's requirement. - Design and create database according to user's requirement. - Perform system testing to ensure software quality. - Maintaining and tuning system performance over time. - Complete the task and ensure the project delivery on time. - Provide Labview development technical guidance for trainee. - Provide database design technical guidance for trainee. - Maintain the source code version. - Maintain the source code standard. - Candidate must possess at least Diploma/Advanced/Higher/Graduate Diploma in Computer Science/Information Technology or equivalent. - At least 1 Year(s) of working experience in the related field is required for this position. - Preferably Junior Executive specialized in IT/Computer - Software or equivalent. - Fresh graduates are encouraged to apply. - The candidate is willing to perform night shift and onsite support. - The candidate has own transport. 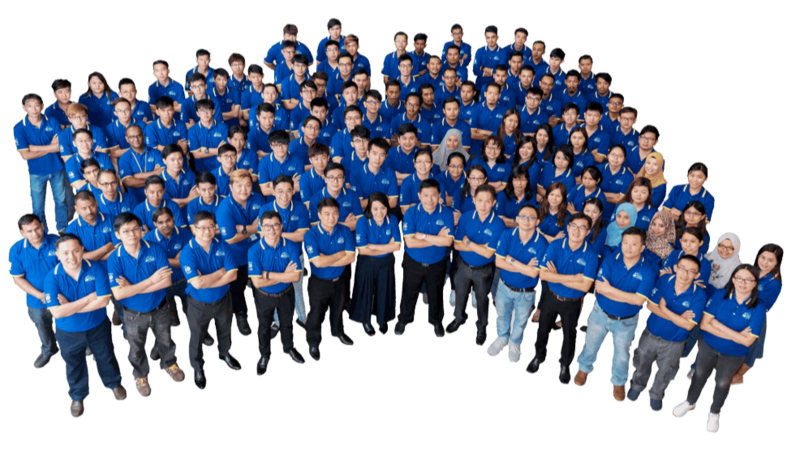 © Copyright 2019 i-Stone Group Berhad - All Rights Reserved.